Abstract: Canton Fair, the largest trade show in China and officially named as China Import and Export Fair, is scheduled to put on its 119th Session from 15th-19th April 2016. Airwheel is going to show off its latest intelligent electric scooters launched in 14th March, Germany at Booth No: J03 Hall12.1. The China Import and Export Fair—Canton Fair is the largest biannual China trade fairs and is also the most effective way to develop the business relationships you need to succeed in Asia. Every year, great influxes of businesspersons from worldwide travel to Guangzhou to attend the Canton Fair. It is no wonder that the Canton Trade Fair has already become a must see for all those looking for business success in Asia. 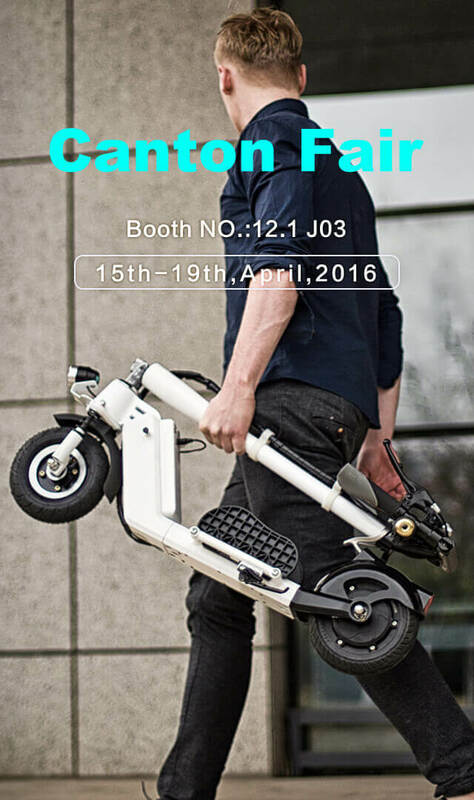 Airwheel aims to attend this fair so as to glorify its image and enhance its global invisibility. The worldwide potential consumers and businesspersons come to the scene to find their ideal cooperative partners and to deepen the business cooperation. Given the intention of new products of self-balancing electric scooter sharing with the Asian customers, Airwheel decidedly made this move. 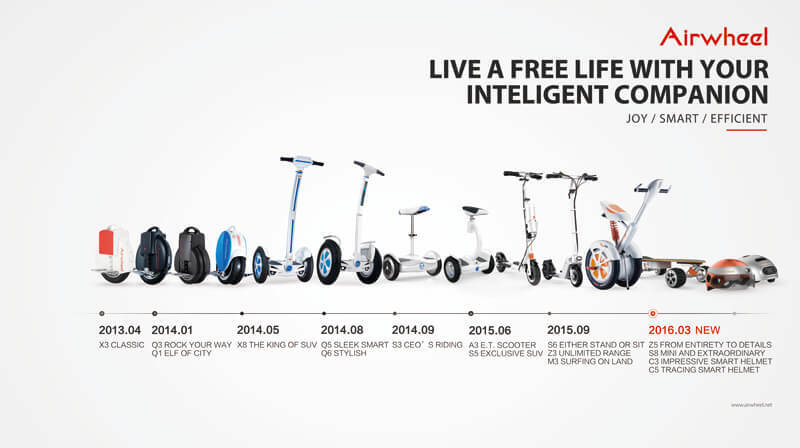 Its latest products, launched on CeBIT include Airwheel C series and 2-wheeled electric scooters Airwheel S8, Z5 and S9. Or to be more exact, Airwheel S9 is a kind of scalable robot base. With the prospective plug-ins and software upgrade, S9 will give more than you think. All five were well acclaimed on the CeBIT exhibition. It is predicated that they will arrest the attention of the Canton Fair visitors. The born of Airwheel C series - intelligent helmets, conforming to the core concepts of Airwheel: joy, smart and efficient is to present a safe and exhilarating experience. Airwheel S8 and Z5 are designed based on their previous S6 and Z3. The hard work and extensive market investigation bear its fruits. From the feedback, the C shaped supporting rod fully displays the designer's aesthetic perception and augments the load capacity of Airwheel S8 to 100kg. Airwheel Z5 2-wheeled electric scooter lies great emphasis on folding frame and battery. Easy to fold and carry has convinced most of riders. Combined with the modular battery design with USB port, Airwheel Z5 will become their solid choice.